Honda has unveiled the production version of its compact SUV Vezel at the Tokyo Motor Show. 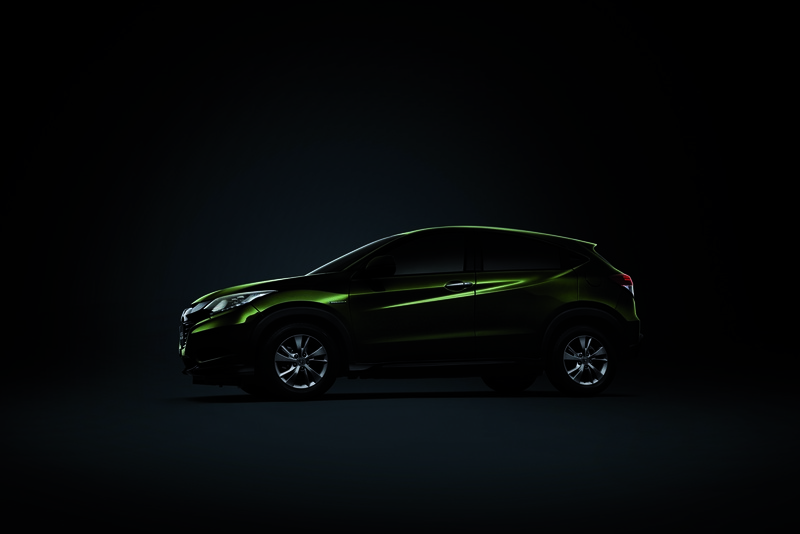 A new vehicle that belongs to a completely new category, the Vezel will go on sales in Japan on 20th December. The Vezel has been designed by fusing together the dynamic qualities of an SUV and the practicality of a minivan. 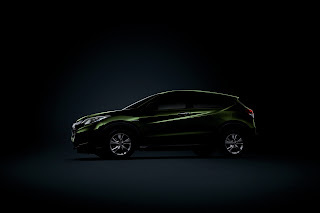 It belongs to India’s hot-selling compact SUV segment and will certainly outshine the likes of Duster and Ecosport once launched. 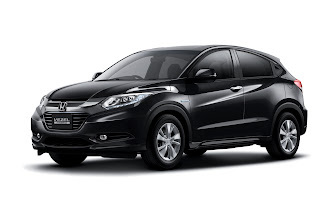 However, Honda’s next launch in India will be the new Honda City, followed by Jazz and Mobilio, so Vezel won’t make it to India before early 2015. 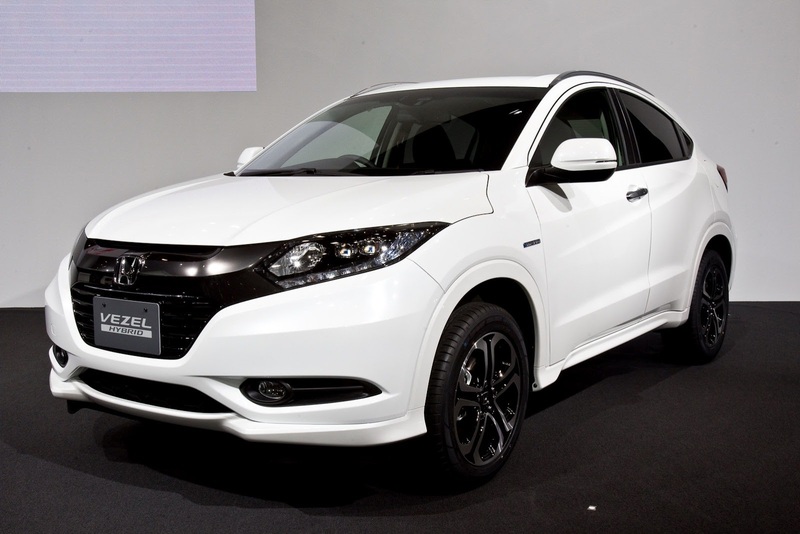 Vezel has got a striking design, taking cues from its siblings. 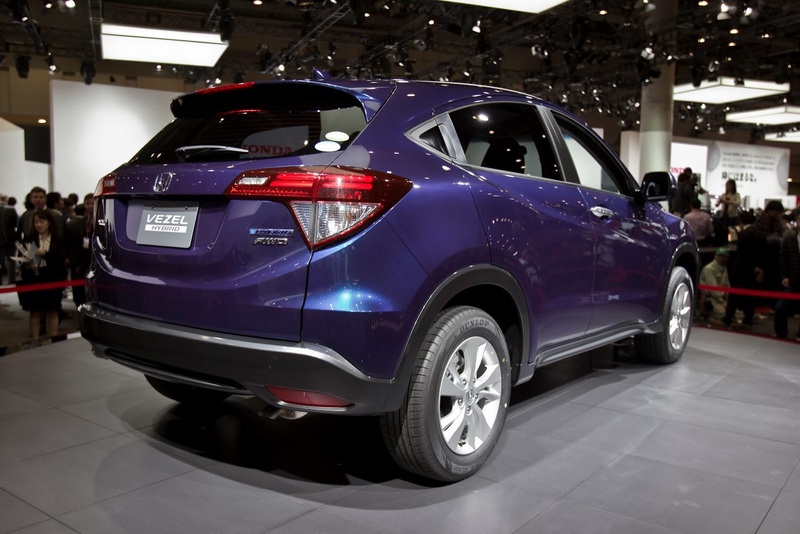 Front profile is reminiscent of the CR-V and has the sturdy stance of an SUV. 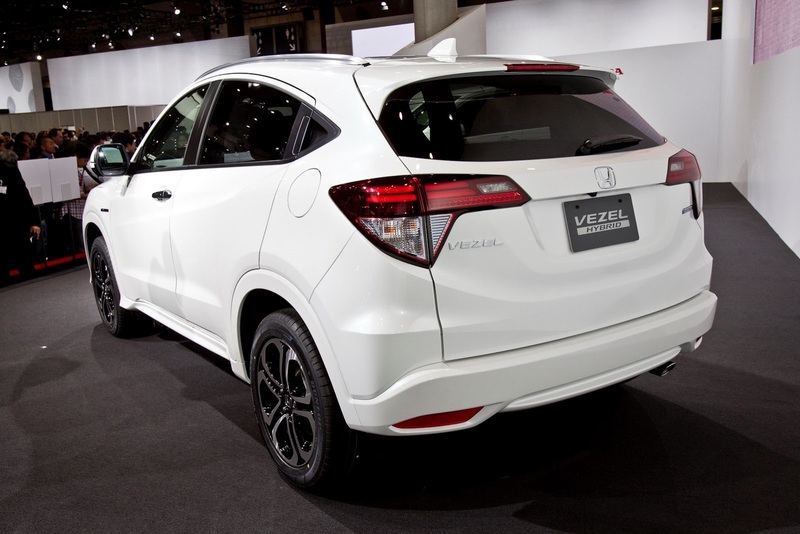 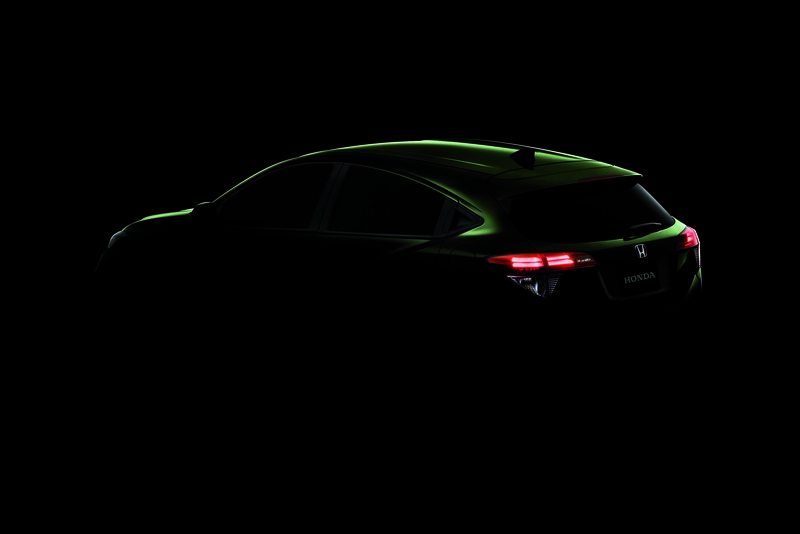 In profile, the Vezel flaunts sharp character lines and the sleeker roof profile of a coupe above the window line. 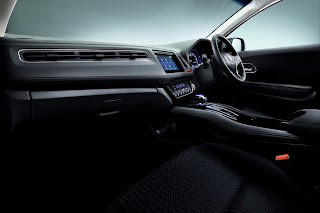 The interior is designed to create a high-quality space and overall, it looks great. The steering wheel is similar to the CR-V’s while the centre console resembles that of the Jazz. 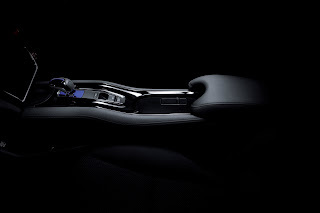 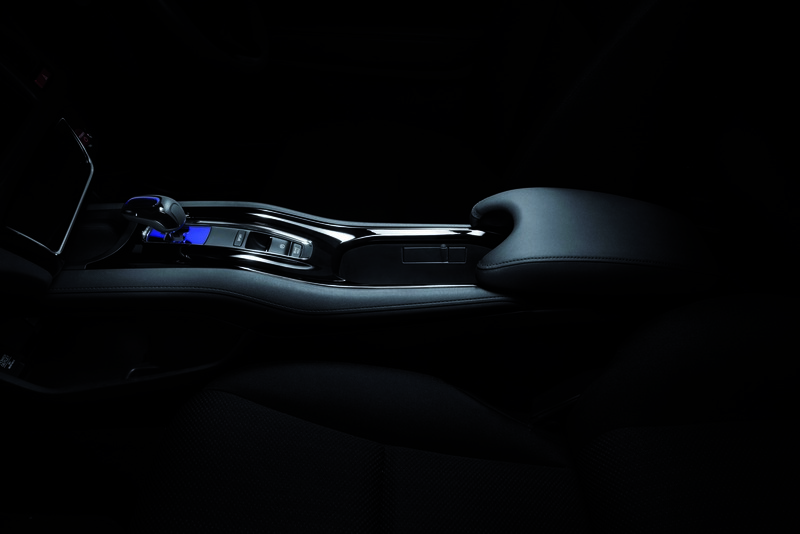 What’s unique to the Vezel is the AC vent that stretches from the left to the centre console. Sitting inside the Vezel for a few minutes, my first impressions of the Vezel were largely positive, thanks to a spacious, practical and modern cabin. Once launched in India, Vezel should get the 1.5L i-VTEC engine of the City and the 1.5L i-DTEC from the Amaze. 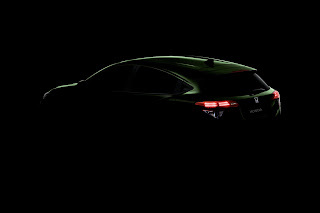 No word yet on an all-wheel drive option, however, we’ll have more details once it’s launched on December 20th. 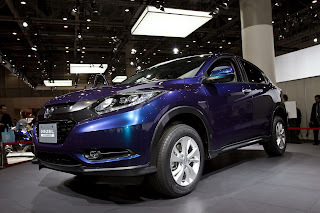 As far as india is concerned, we can expect Vezel only by 2015, as company is planning to launch New Jazz , Amaze based mobilio by next year . In india we can expect all three to be launched in petrol and diesel variants.